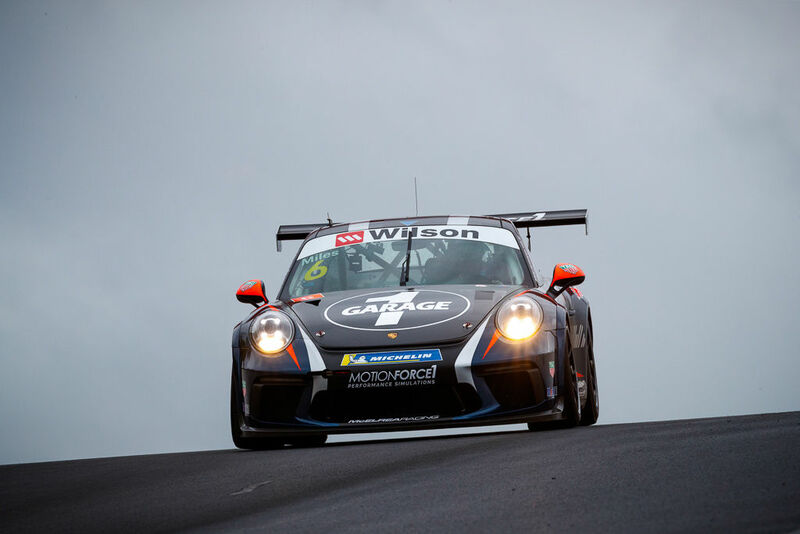 We always look forward to the iconic Bathurst round. 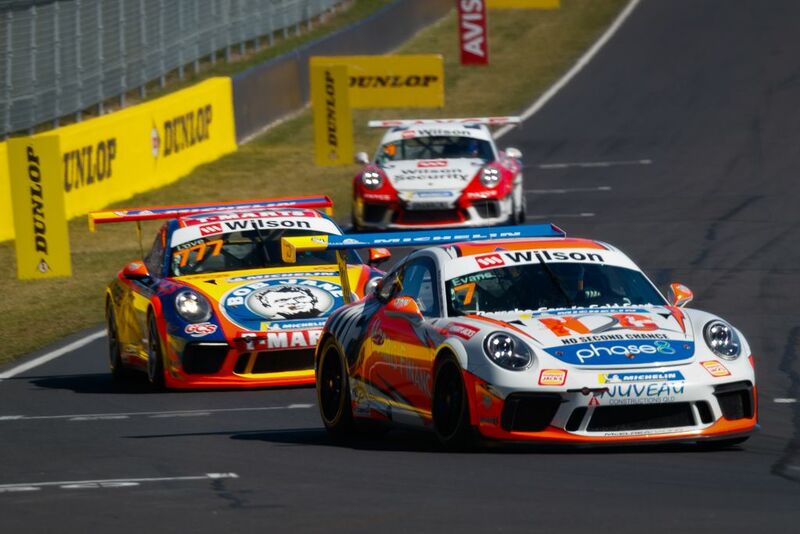 Not only is the highlight of the Australian racing calendar but we have been blessed with extraordinary success, winning the Bathurst round 5 times in the last 7 years with 4 different drivers. 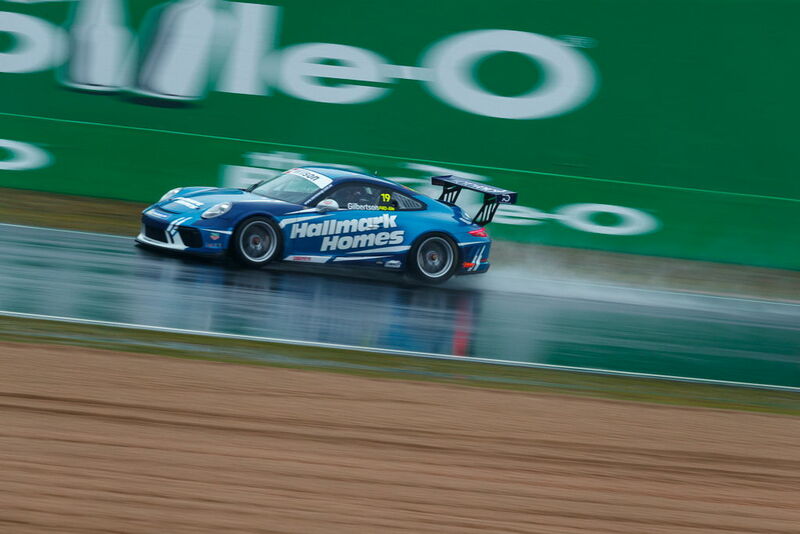 Qualifying was mystifying for the team when Jaxon could only manage 9th fastest in the wet conditions. In the 16 lap opening race, he followed a reasonable start with a ripper lap 1 to be in 5th place at the end of the first lap. 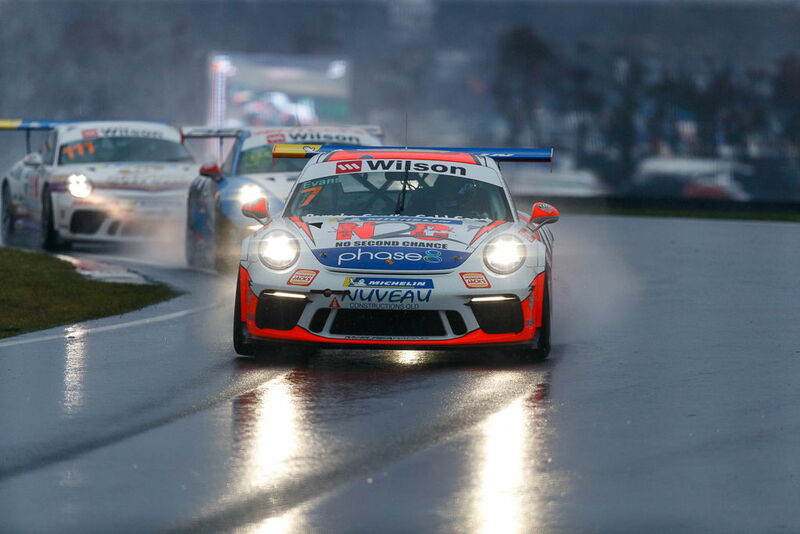 After a safety car intervention, he continued his way forward while fending off a highly motivated Jordan Love to finish an outstanding 2nd place. In race 2 Jaxon got a great jump off the line to lead the race. 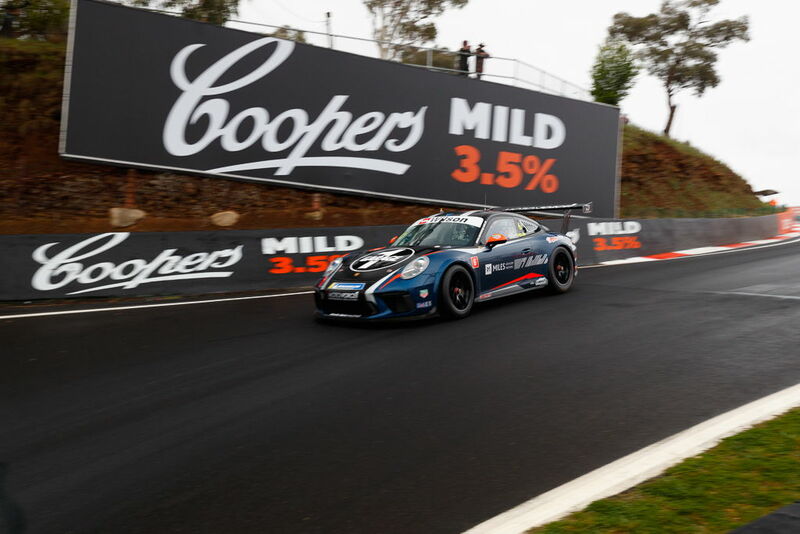 After the race resumed after a safety car period he lead the race to take his first win at Bathurst and set a new lap record! In race 3 Jaxon was under strict instructions to stay out of trouble. He had to drop to 3rd to achieve that, but lowered his lap record and extended his championship lead in the process! Adam prepared well for this round and had a solid wet qualifying session finishing only 3/10ths of a second behind teammate Jaxon. 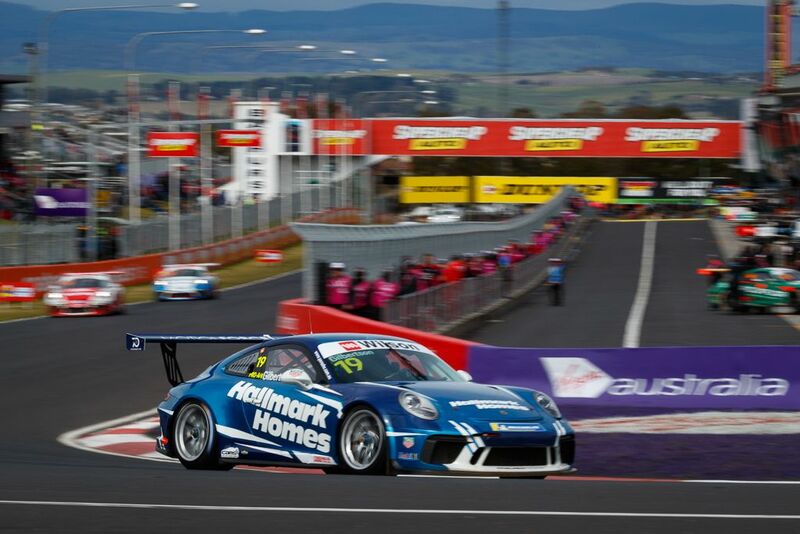 He started race 1 from grid 11 and did a great job racing with former Carrera Cup race winner McBride and finishing ahead of championship contender O'Keeffe to take a career-best 7th. Adam had an average start and got outmaneuvered at turn 2 on lap 1 by O’Keeffe. He did a good job in the race to go 1.2 seconds quicker than race 1 yesterday and take 8th place. 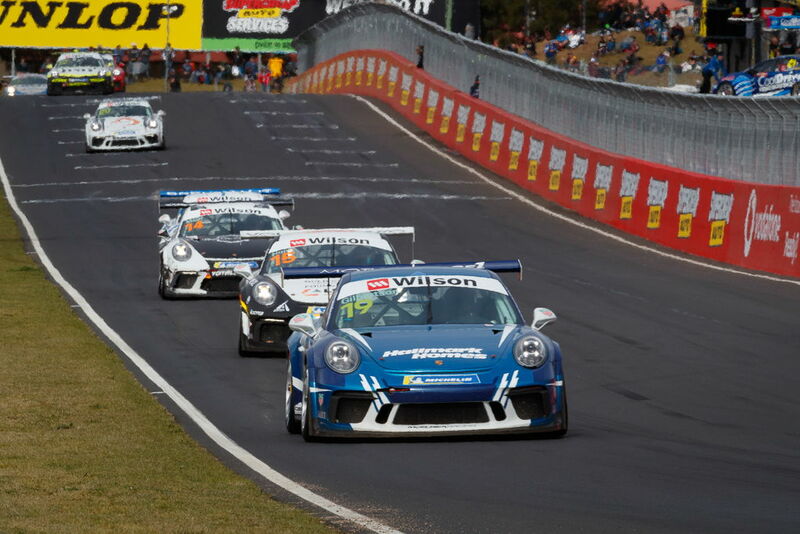 In race 3 Adam got a good start and had another great dice with McBride to eventually prevail and take a Carrera Cup personal best of 6th and 7th for the round. Tim qualified 5th in Pro-Am and started race 1 from grid 17. He had another cracker start and made 1 spot on the first lap. During the remainder of the race, he had a great dice with leader Grove and took advantage of two Pro-Am drivers incidents to take 2nd in Pro-Am. In race 2 Tim had another good start and was pushing some of the pro drivers on the first lap. He settled into another good race with Grove and despite a couple of tempting opportunities to make a move, he wisely decided to take the valuable points for 2nd. In race 3 Tim had a good start and managed to chase the Pros which pulled him clear of the other Pro-Am drivers, he then kept his cool to take the race and round win. 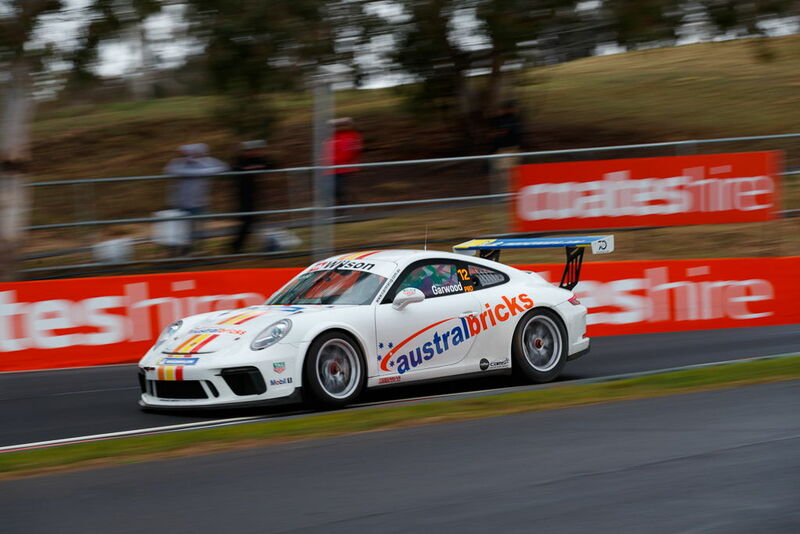 After his first round win at 'The Bend' Anthony was happy to continue his restrained approach which has served him well recently, qualifying 4th in Pro-Am and starting from grid 16. In race 1 he got a good start but got snookered at turn 1 after 2 Pro drivers made contact. He kept his cool to take a handy 3rd place. In race 2 Anthony had a good race and was sitting comfortably in 3rd until he was distracted by an alarm on his dash which gave Stevens the opportunity to sneak past. 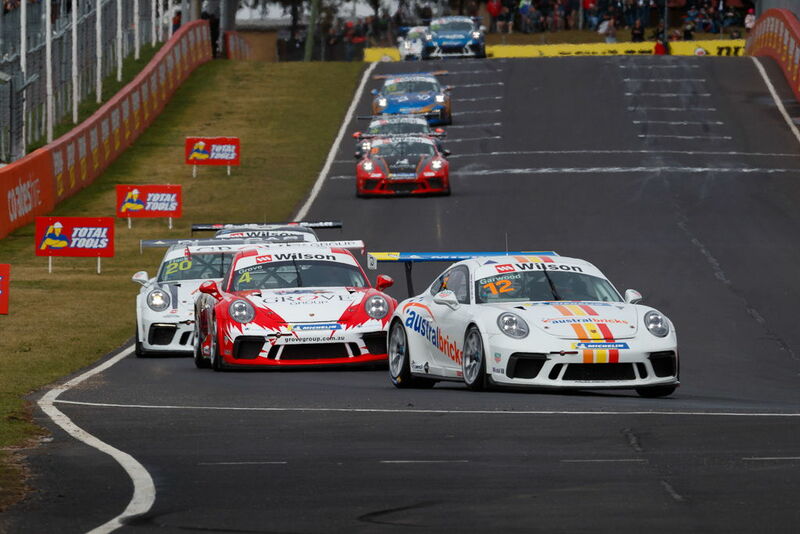 In race 3 Gilbo had a good start but got boxed-in by traffic at turn 1. He was running 4th until being taken out by another Pro-Am driver at the final turn with a couple of laps to run. He recovered nicely to take 7th which earned him 3rd for the round. We are obviously thrilled that our success at Bathurst continues. 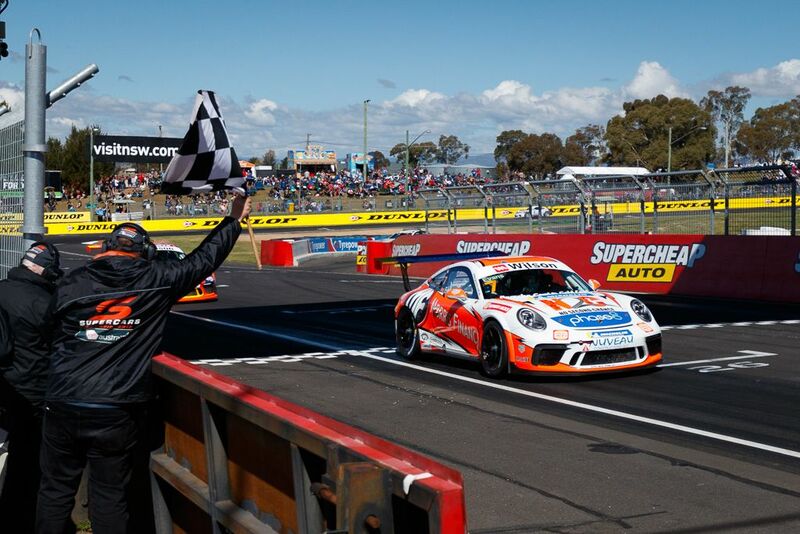 Tim managed his second round win of the season to add to his AGP victory. 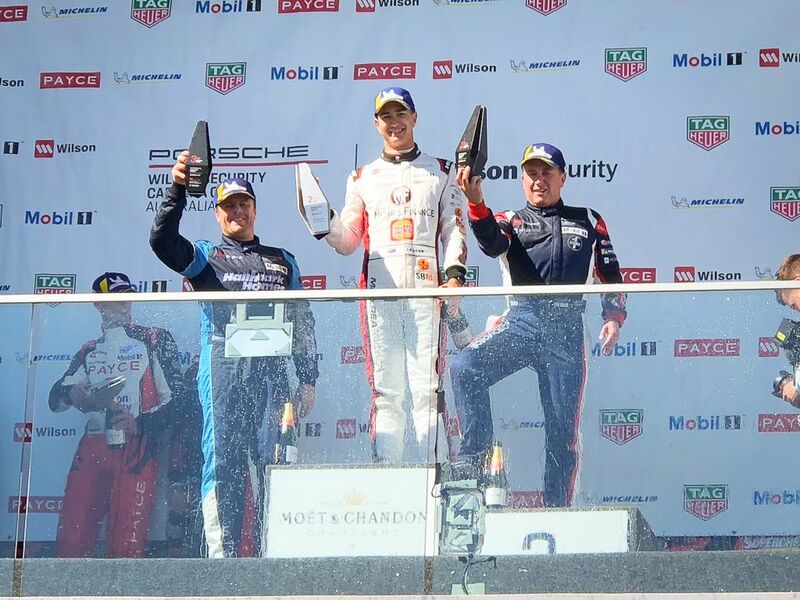 Jaxon broke the lap record in race 2 then lowered it again in race 3, had another race win, but most importantly managed to extend his championship lead to over 100 points with 180 on offer at the final round on the Gold Coast in two weeks. 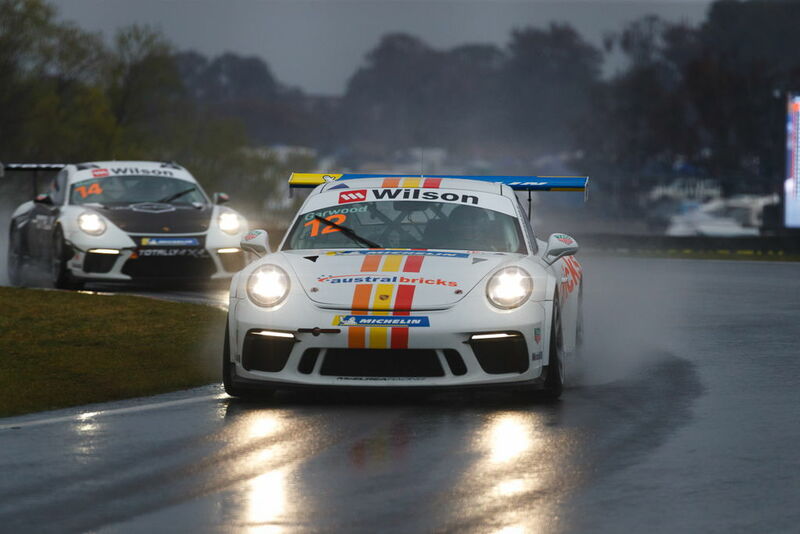 Gilbo continues his great run with his third podium finish in a row after Sydney Motorsport Park and his victory at Tailem Bend. 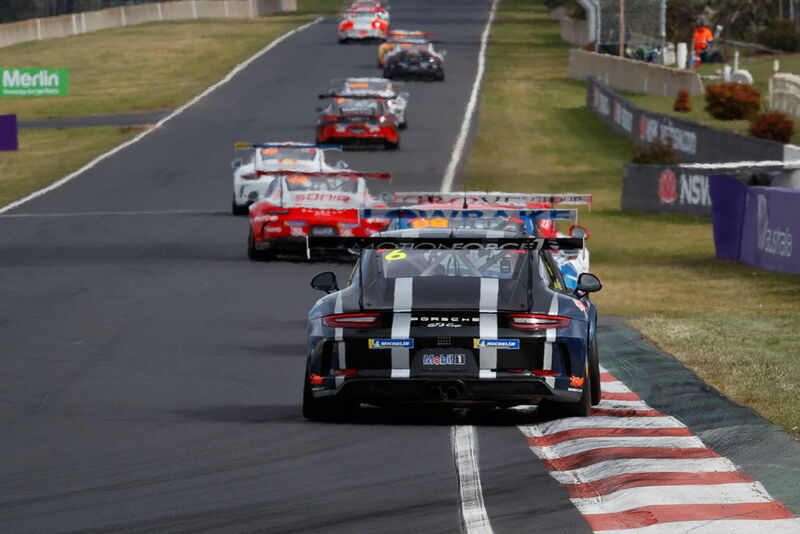 We are rapt that Adams preparation is starting to pay off with real speed and results with his personal best of 6th and 7th for the round, in his short Carrera Cup career. Many thanks to all the awesome MR crew and of course Luffy the super coach for tuning-up our drivers.